While there are plenty of resorts out there, there are definitely those that appeal to kids who like to pack in A LOT of action — think swimming with the stingrays at Atlantis; biking to a cenote (an underground cave filled with water) at the Fairmont Mayakoba, or getting slimed as a family at the Nickelodeon resort in Punta Cana. Here, our top picks for vacations for kids on the go. Why Go: Coral is the newest accommodation at Atlantis and really targets families. One of the biggest draws of Atlantis is that it boasts the world’s largest open-air marine habitat, which includes 14 lagoons with more than 250 species and 50,000 aquatic animals—including giant sting rays, sawfish, piranha, barracuda and tropical fish. Where You’ll Sleep: The Coral is big — 609 rooms and suites big. Room sizes range from studios to two-bedroom presidential suites, which consist of a master bedroom with king bed, a second bedroom with two queen beds, a master bath, separate parlor with sleeper sofa and two full balconies with water, harbor or terrace views. Connecting rooms are available. Where You’ll All Play: This place is all about water, with 11 swimming pools, three beaches, a seven-acre snorkeling lagoon, 20 waterslides and two river rides. 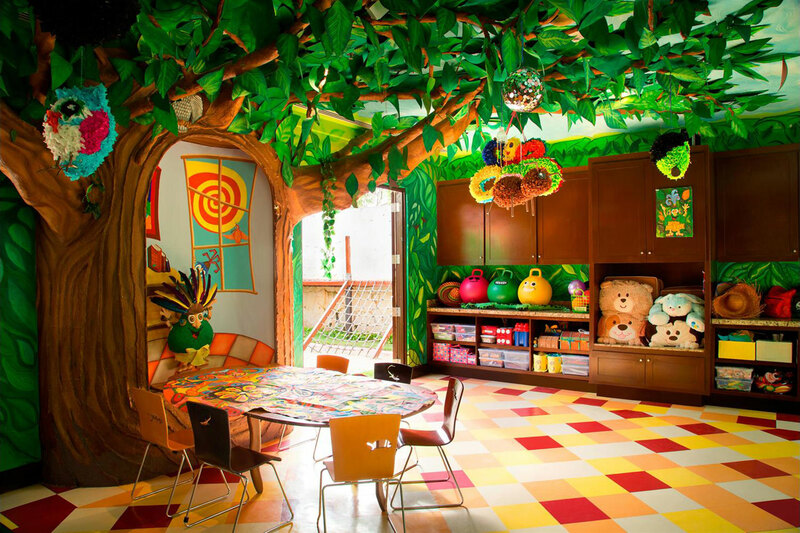 Plus, there’s a kids’ club for three-year-olds and up. Food 411: There are plenty of food options at the Atlantis complex, with 21 restaurants ranging from the famous miso-marinated black cod at Nobu, to the expansive breakfast buffet at Poseidon’s Table, to the tasty burgers at the Village Burger Shack. Coolest for Kids: Sure, the swim-up ice pop bar at the Coral pool is cool, but kids will really love the sea turtle hatching release program (good for those 3 and older) and the sea turtle adoption program, where kids can snorkel and swim with the turtles. Additionally, swimming with the dolphins is always a hit and the Swim with Wonder program lets kids touch, swim and learn about these amazing creatures. 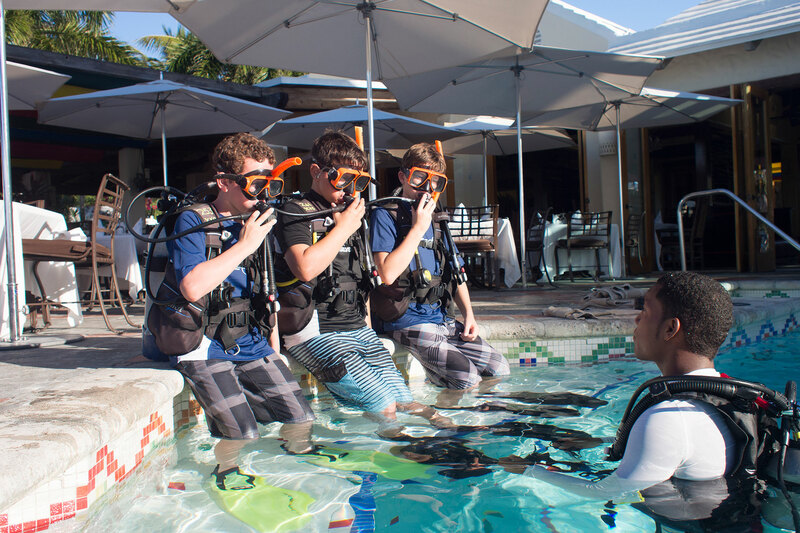 The resort focuses on marine conservation and education and kids can really be a part of this. Parent Perk: Overlooking the azure waters of the lagoon and ocean beyond, Atlantis Casino offers a variety of gaming with over 720 of the latest slot machines and 92 tables, ranging from baccarat and craps to blackjack, roulette and a wide variety of novelty games. Why Go: This luxury property is great for families who want active adventure and to be in touch with nature. The resort offers plenty of on-site activities including a catamaran tour, an ecology lagoon boat tour, snorkeling, kayaking, paddle boarding, and, of course—plenty of swimming (there are five pools, including one with a slide and one with a swim-up bar). Where You’ll Sleep: The Fairmont Mayakoba, another Family Vacation Critic Favorite Hotel, is spread out, with individual casitas (small houses) located around the lagoon and beach. There are 401 rooms and suites, ranging from one-room guestrooms in the main building to signature casita suites, which have a master bedroom and a separate living room with sofa bed for kids. The presidential suites has three bedrooms. Where You’ll All Play: The property is spread out, but they offer free bike rentals (families return each night and then can take them out the next morning), so families can bike to various spots around the property, as well as to the beach and nature trail. In fact, one of the best bike trails on property goes past cenotes (underground caves filled with water), mangroves and iguanas. The resort’s Discovery Club & Adventure Camp (for kids 4 to 12) focuses on Mexican culture; kids learn how to make piñatas, can take cooking class where they make burritos and tacos, and can go on a Mayan nature walk to learn about the plants and local topography. Food 411: People often comment on how good the food is here. Don’t miss the amazing breakfast buffet at La Laguna (think freshly-made tortillas, refried beans and American favorites as well). Adults will love the sushi at El Puerto, while the kids will love the chopped steak and pizza. Coolest for Kids: The Mexican fiesta at the kids club is a big hit. The kids club is complimentary for three hours per day. Parents can select from 9 a.m. to noon or from 5 to 8 p.m. Additional hours can be booked at an additional cost of $10 per child, per hour. Parent Perk: The Willow Stream Spa is perfect for parents to relax while the kids are at camp. Golfers will love the access to the to the Greg Norman–designed El Camaleón Mayakoba Golf Course, a par-72 course that winds through jungles, mangroves and seashore. 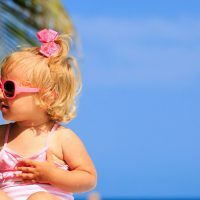 Why Go: What makes Beaches so unique is that while many resorts don’t cater to kids under three years, Beaches takes kids as young as three months. Certified nannies take care of babies and toddlers and the partnership with Sesame Street means all kids enjoy their time at Camp Sesame. Beaches also caters to kids with special needs, including autism; they have certified special needs care givers. 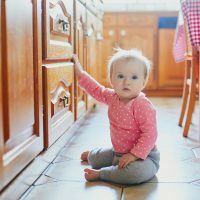 Cribs, high chairs, and other baby essentials are all included in your stay. Where You’ll Sleep: Beaches Turks & Caicos, a Family Vacation Critic Favorite Hotel, has 758 rooms and suites with 44 different room categories including single rooms, suites and villas. There are five villages in the resort, each of which reflect the architectural and design style of their namesakes—French, Caribbean, Key West, Italian and Seaside suites. Each are different price points; Key West is the newest and most luxurious (at the higher price point), while the French village is the most budget-friendly. Where You’ll All Play: There are 10 pools, including two adult-only ones. Water and land sports are included in the price, so the family can enjoy kayaks, windsurfing, snorkeling, aqua trikes, Hobie Cats, paddleboards, scuba diving for those PADI-certified, tennis, volleyball, and more. Food 411: Home to 22 dining options, Beaches offers many culinary choices, even if your child is the pickiest of eaters. Food trucks serving up mac and cheese and ice cream are strategically parked near the water park for that post-swim snack. For a fun dinner, book a Teppanyaki table at Kimonos, where the chef will slice, dice and have food fly through the air to entertain the kids. Coolest for Kids: Kids love water parks and Pirate Island does not disappoint with nine slides, a lazy river, surf simulator, water cannons, cranks and spray features. Plus, younger kids will love all the Sesame character themed meals, parades and parties. Parent Perk: Go on date night at the resort’s adult-only Sapodilla’s restaurant, where a candlelit dinner awaits (the kids camp is open until 9 p.m. and is part of the all-inclusive package). Adults will also enjoy the numerous swim-up bars. 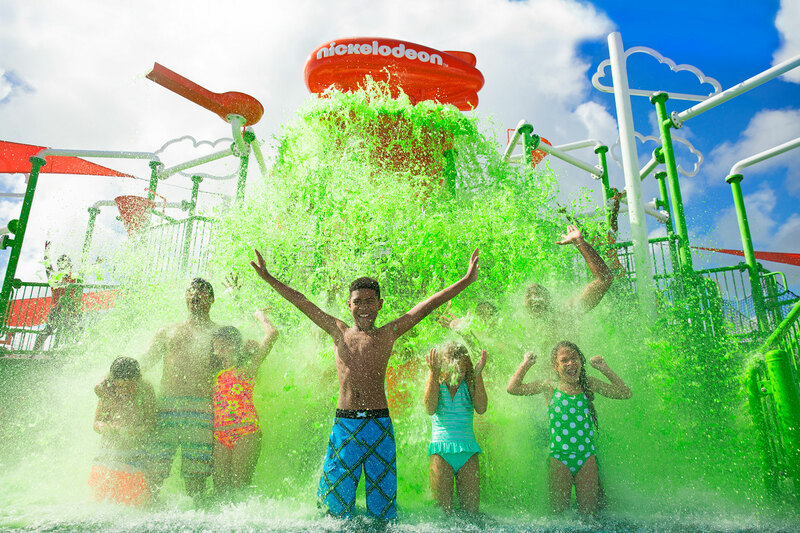 Why Go: This is one of the newest resorts to enter the all-inclusive space and is a good option for families who have kids that love the Nickelodeon characters, including SpongeBob, Dora and the Ninja Turtles. 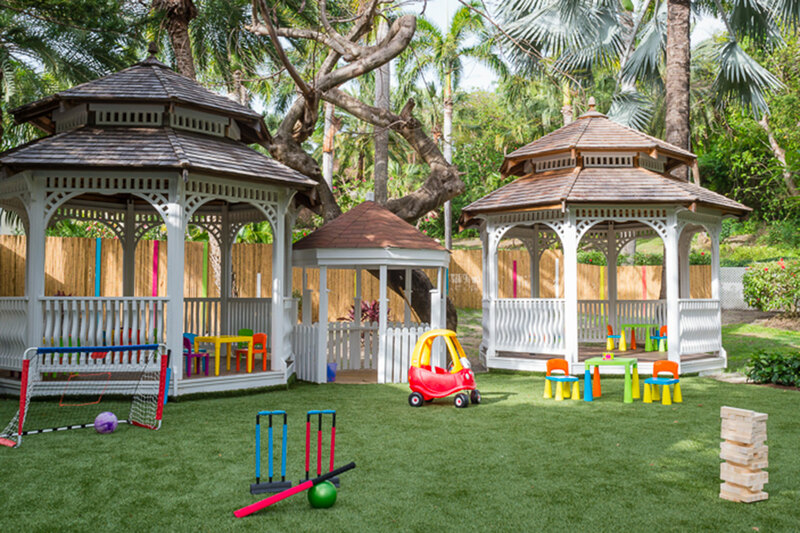 Parents of young kids will love the “Gotcha Covered” amenities, which include complimentary baby food, strollers, cribs, kids’ spa robes and baby bottle warmers for infants and toddlers. Where You’ll Sleep: Nickelodeon Hotels & Resorts Punta Cana has 208 suites in eight styles, including the popular Swank Swim Up Suites (you can jump in the water from the patio outside your room). You can also book the two- and three-bedroom Super Villas (2,200 square feet), including The Pineapple (modeled after SpongeBob SquarePants’ house). Where You’ll All Play: There are two main pools, an infinity pool right near the beach and a lazy river pool near the Aqua Nick center, which is a water park. Daily activities include beach volleyball, water polo, surprise slimings, character meet-and-greets, and archery. The Just Kiddin’ kids club is open 9 to 5 every day for kids ages 4 to 12, and is included in the price. Food 411: There are eight different restaurants; kids will enjoy the SpaceWalker, which features interstellar cuisine inspired by space, as well as special lights, sound effects, glow-in-the dark menus and space suits worn by the wait staff. Don’t miss the two-pound Machete burgers at Burgers.PH. Lastly, the little ones will enjoy the character breakfasts on the weekends at Zest where SpongeBob, Patrick, Dora, Boots, Paw Patrol & the Teenage Mutant Ninja Turtles dance, play and take photos with the kids. Parent Perk: Hit the Vassa Spa, which has an herbal steam room, dry sauna, chromo therapy showers, bubble beds, whirlpool, and arctic and warm water pools. For a date night out, parents should hit Kitchen 23 by Le Chique, the fine dining adults-only venue that has a tasting menu. Why Go: While the other resorts on this list appeal mainly to an American clientele, Blue Waters is decidedly international in feel, including a large British following (tea is served every day at 4 p.m.). So your kids will be in camp with kids from other countries, which can make for a nice travel experience. This is a much smaller resort than the others on the list—it’s a more intimate feel. There are not as many activities/options as a massive resort, so it’s good for families who want to spend more time together, hanging at the pools or beach. Where You’ll Sleep: Nestled on 17 acres in the Northwestern corner of Antigua, Blue Waters has 69 rooms and suites, 28 Cove Suites and four villas (the villas have three-, four-, and five-bedrooms, private dining room and private pool). The Cove Suites and villas are especially suited for larger families (each bedroom has its own en-suite bathroom and private pool). Where You’ll All Play: There are two main pools for kids (including a spacious infinity pool that overlooks the Caribbean Sea) and an adults-only pool (plus, many “private” pools that come with Cove Suites and villas). Food 411. All three restaurants have a nice menu for adults (steak, fish, Caribbean fare), as well as a kids’ menu (with all the favorites: spaghetti, burgers, chicken nuggets). The Palm is the most kid-friendly, with outdoor seating and a laid-back vibe. But adults will especially love the the Cove Restaurant, which is situated on a cliff and has stunning views. Coolest for Kids: During the busy school holiday periods, the resort offers kids’ cinema evenings with popcorn and ice cream. Other favorites during this time include: bouncy castles; afternoon “tea” for kids including waffles and ice cream; children’s spa packages of a mani/pedi, hair braid and mini massage; plus, a welcome pack containing information of “what’s on” during their stay and a voucher for the gift shop. Parent Perk: The Spa at Blue Waters has the most amazing views over the the cliffs and Caribbean Sea below. It’s one of the prettiest spots to just sit, relax and take in the scene. The outdoor spa pool is quiet (and kid-free). Get the Absolute Spa ritual, which combines an Elemis facial with a full-body massage. Why Go: The resort splits the adults and kids into separate groups—kids eat their meals and enjoy their activities with other kids, while adults do the same… with other adults. 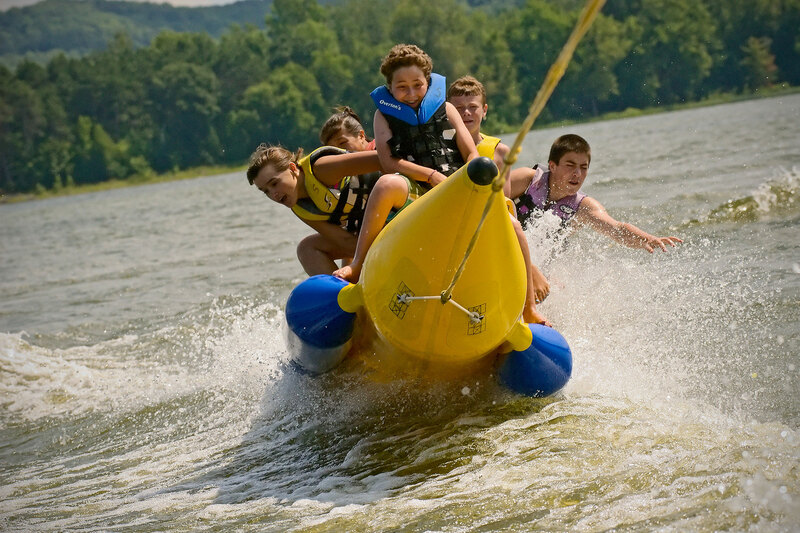 That means kids are out fishing, swimming, going on nature hikes, kayaking, playing mini golf, climbing rock walls and traversing ropes courses, all under the guidance of energetic counselors. In fact, the counselors are one of the best parts of the resort—the kids love them because they get the likes (and dislikes) of the groups they are overseeing. Where You’ll Sleep: A Family Vacation Critic Favorite Hotel, Tyler Place Family Resort offeres a variety of stand-alone cottages, as well as the main Inn. Many cottages have beautiful views of Lake Champlain. Most cottages have two or three bedrooms, a living room, bathroom, sun deck, and kitchen. They have bigger cottages for larger families (or groups staying together — perfect for family reunions). Food 411: The food is really fresh with ingredients sourced from local farms. One of the most beloved features of the Tyler Place is that kids dine earlier so they can be out and about with their friends and counselors while their parents are able to relax and enjoy conversation over cocktails and meals. Meals include dishes such as: Maple Smoked Seafood Platter, Slow Roasted Prime Rib, Shrimp Scampi, Yellow Fin Tuna Steaks with Mango Salsa, Sweet Chili Glazed Vermont Soy Tofu and Hand Made Gnocchi with Truffled Leek Cream. Have allergies? No worries. There are plenty of gluten-free, vegan, vegetarian and dairy-free options. Coolest for Kids: Kids form really strong friendships with other kids in their group, since everyone is at the camp for a full week. 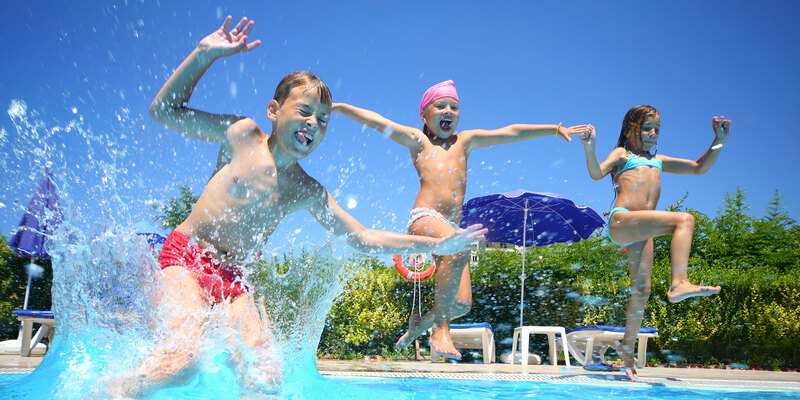 So whether the kids are making S’mores over the campfire, or having water balloon fights on a hot summer day, it’s very likely they are doing it with other kids equally as active. Parent Perk: Uninterrupted adult time—and knowing the kids are having a blast with their own group—is a big reason adults love this place. Tyler Place lets adults recharge. Some do nothing all day (hang at the pool, read in the hammock), while others do it all like their kids: biking, hiking, canoeing and kayaking.